The National Web site for the US Wild Horse and Burro Association. Welcome to the US Wild Horse and Burro Association. The Online Source for America's Living Legends. If you shop on Amazon.com please consider supporting our organization by signing up with Amazon Smile. You will still have full and complete access to all the merchandise available on Amazon, but a portion of your purchase will be donated to the USWHBA at no extra cost to you. After signing up, just look for the US Wild Horse and Burro Association when you are asked what organization you would like to support. As always, thank you from the Members and Directors of the USWHBA. US Wild Horse and Burro Association. Thank you for your support. To view the USWHBA 2018 Financial Report click here. Listen to the Official Song of the USWHBA. Click here. Click on the picture of Skye and Robin to go to our Video Gallery. Special Guest photographers Irene Lopez and Bill Keebler from Salt Lake City Utah have provided all the Mustangs in the wild pictures presently posted on our Web-site. THANK YOU IRENE AND BILL. To read Irene and Bill's biography click here. Congress finds and declares that wild free-roaming horses and burros are living symbols of the historic and pioneer spirit of the west. To read the Wild Free-Roaming Horse and Burro Act click here. THE US WILD HORSE AND BURRO ASSOCIATION IS DEDICATED TO THE PROMOTION OF AMERICA’S WILD HORSES AND BURROS, THROUGH ADOPTION AND EDUCATION. 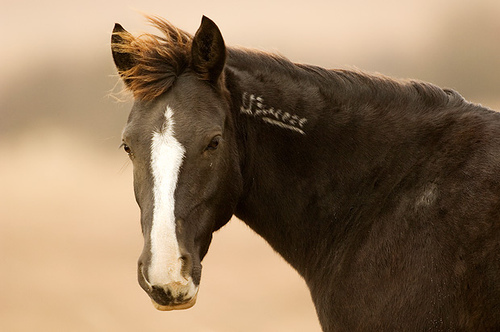 THE US WILD HORSE AND BURRO ASSOCIATION SUPPORTS THE BUREAU OF LAND MANAGEMENT'S "ADOPT A WILD HORSE OR BURRO PROGRAM", AND IS OPEN TO ALL OF AMERICA’S WILD EQUINE BREEDS. THE US WILD HORSE AND BURRO ASSOCIATION OFFERS ASSISTANCE IN TRAINING AND CARE TO NEW ADOPTERS AND OWNERS TO INSURE THEIR EXPERIENCE IS POSITIVE . 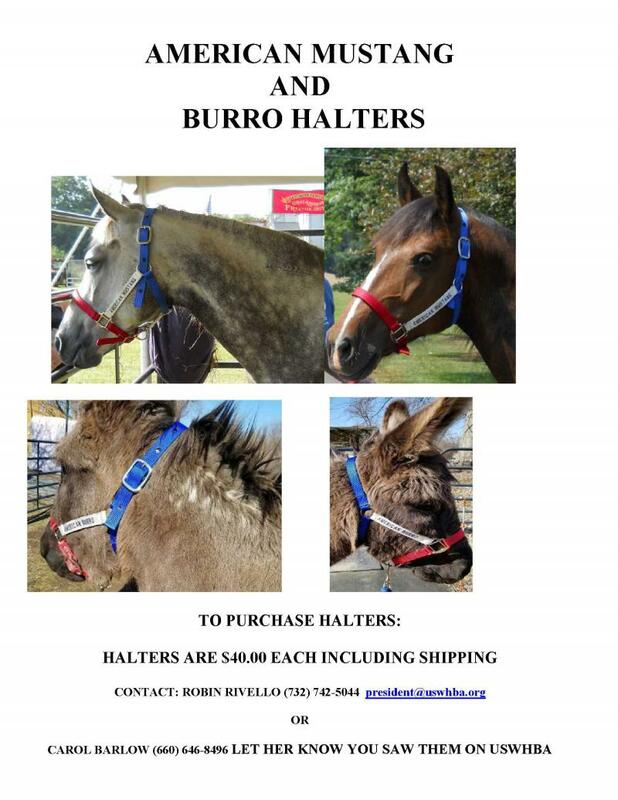 The US Wild Horse and Burro Association is a recognized 501 (c) (3) Non Profit Organization. Training methods that rely on bullying or fear will absolutely not work with these horses under any circumstances. Once a wild horse has learned that they must protect themselves from humans, it is very challenging for the animal to overcome and learn to trust. Creating a bond with a wild horse is essential for successful wild horse adoption. Once they trust you, these horses become bonded to you and will do anything for you. Adopt a wild horse for the thrill of this amazing experience, not to conquer the animal. Training a wild horse is a journey, not a destination. 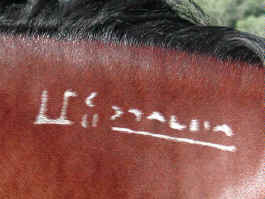 The Bureau of Land Management freeze brand on a wild Mustang. 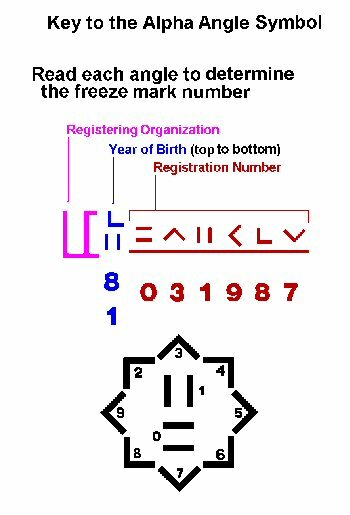 How to read the BLM Freeze Brand.